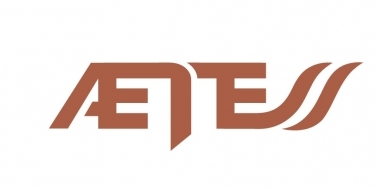 AETESS Association was established in 1977 with the aim of supporting an emerging market of companies dedicated to the special foundations, improvement and treatment of the ground. Since then it has maintained its initial commitment to provide the sector with an Association that represents the high levels of quality, safety and professionalism that come together in their associated companies, leaders in the industry of special foundations and ground engineering. To achieve this from AETESS, solid and permanent collaboration links have been established with the main public institutions, professional associations and standardization entities of the sector. All the actions and joint projects are promoted to favour the industry and make known the extensive experience developed by our members companies, which reaches the highest technical levels of the sector in the international market. In March 1990 AETESS joins the EFFC, European Federation of Foundation Contractors as a founder member. Currently, AETESS takes part of the Officers and Executive Committees, and the Health & Safety and Technical Working Groups. With this partnership, AETESS wants to cooperate to improve standards on technical competence, safety and innovation and promote networking with other European Federations and third parties involved in the business. AETESS develops its activities through Working Committees that represent a common space where companies work together for the continuous improvement of the business. : Technical, Safety, and Young Engineers. They are responsible for developing and implementing all the projects managed by the Association in their organizations, promoting collaboration networks and giving continuity to the work. These collaborative networks have been particularly useful through their work on safety and technical issues. Our members have designed and implemented jointly specific Health and Safety Guides and the Technical Committee has collaborated in the edition of Guides for Anchors and Micropiles. For the last 19 years, AETESS, together with the Spanish Society of Soil Mechanics and Geotechnical Engineering, has been participating in the organization of annual Technical Sessions about special foundations and ground improvement. We involve to public institutions and consultants and from AETESS singular execution cases performed by our companies are presented. Every year the interest is increasing, and we are targeting master’s students in Geotechnics as well as professionals in the sector and public institutions. We work day by day in becoming a reference in the business of great infrastructures contractors. Roads, railways, hydraulic constructions, buildings and all kind of urban acting. AETESS is working to consolidate a more sustainable way of working and leave our mark in future generations. In this order of things, we are starting to participate with the Politécnica University of Madrid in training and educational activities, developed by our Young Engineers Committee.